ST. GEORGE — A man and a woman are in custody for allegedly perpetrating a gruesome assault against a man in Washington County. A daylong search for the couple ended in their arrest in Iron County Sunday. 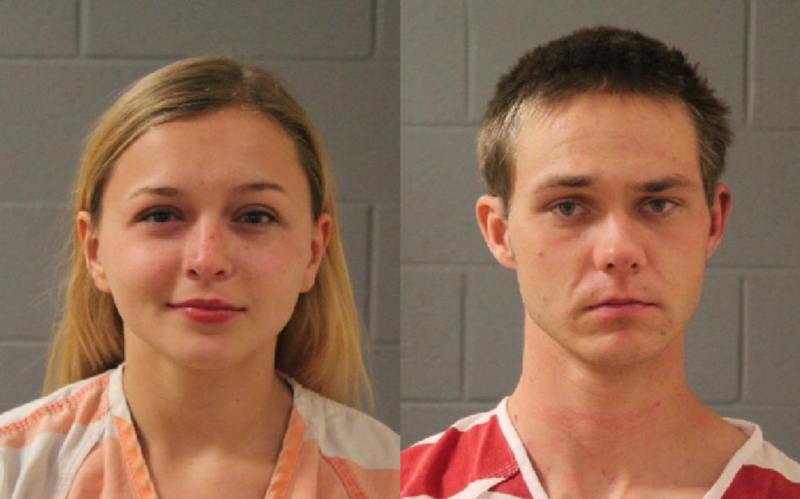 Sasha Michelle Davis, 20, of St George, and Kade Robert Shearer, 21, were arrested and booked into the Purgatory Correctional Facility Sunday on first-degree felonies of aggravated robbery and aggravated kidnapping. They were also charged with aggravated assault, a second-degree felony, and misdemeanors for threats against life and tampering with evidence. They are being held on $50,000 cash-only bail. According to a news release issued by Washington County Sheriff’s Office, a 40-year-old man from St. George was invited by Davis, who was an acquaintance of the man, to a remote area north of St. George Saturday along Turkey Farm Road. “The (alleged) victim believed the encounter was for the purpose of engaging in intimate relations and drove to the arranged area with another acquaintance,” the news release reads. After meeting with Davis, police say Shearer attacked the man with a hammer. Davis then allegedly began using a stun gun on the man and tried to tie him up with a rope while Shearer continued assaulting him. Before initiating the attack, police say Shearer hid in the trunk of a vehicle as he waited for the man to be alone with Davis. After the attack, Davis and Shearer then fled the area in a black Honda Accord that was owned by the alleged victim’s acquaintance, police said, and the acquaintance took the man to Dixie Regional Medical Center in his own car. Police arrived at the hospital at 10:41 p.m. Saturday on report of the attack. “Upon arriving at the hospital, detectives observed injuries consistent with the (alleged) victims (sic) report which also included ligature marks around his ankles, wrist and neck,” the police statement reads. The Iron County Sheriff’s Office first heard from officers in St. George that they were seeking a man and a woman for an attempted homicide at about 8 a.m. Sunday, according to a news release from Iron County Sheriff’s Office. Fifteen minutes later, an Iron County Sheriff’s deputy located the black Honda Accord off the Bench road south of Newcastle, a rural community in Iron County near Enterprise. No one was in the vehicle when officers found it, Iron County Sheriff’s Office Lt. Del Schlosser said. 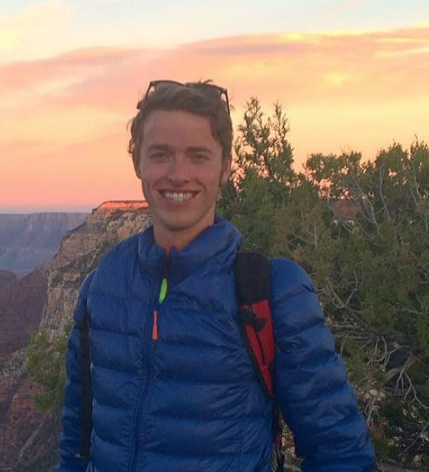 With the help of a helicopter from Southern Utah University’s aviation program, officers began to search the area around Newcastle. “We didn’t know if they went up into the hills, but that’s where we started looking for them,” Schlosser said. 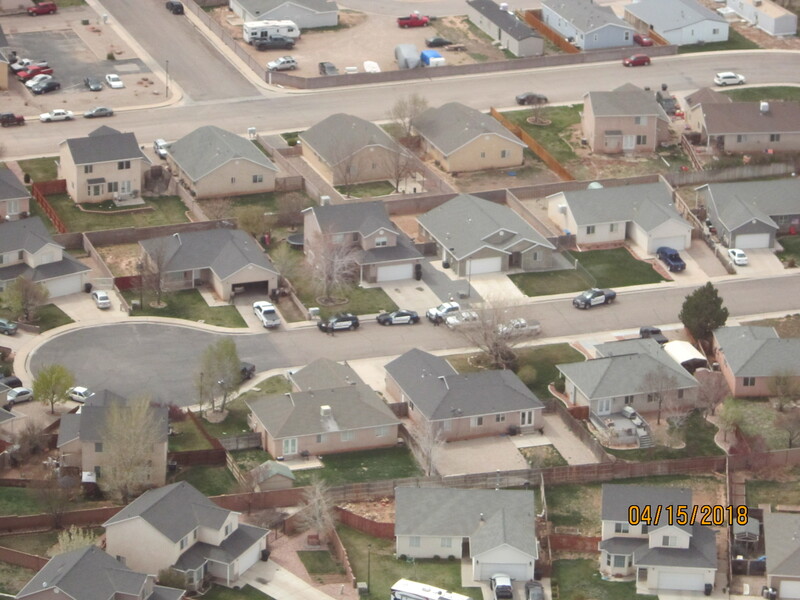 Police later obtained information that Davis and Shearer may have fled to Cedar City. Iron County Sheriff’s deputy Jobe Peterson, the same officer who found the car in Newcastle, happened to recall another vehicle that belonged to a “relative or friend” of the suspects, Schlosser said. With Peterson’s knowledge and by working with Iron County parole and probation services, officers were able to make the connection to the other vehicle, Schlosser said. At noon, the owner of the vehicle was located, and Peterson responded to a home on 1450 North in Cedar City where the driver was staying. After speaking with the driver of the other vehicle, officers determined that Davis and Shearer were hiding inside the home. Deputies and officers from Cedar City Police Department assisted in containing the area around the home, and K-9 units went into the building. After being apprehended by a police dog, Shearer tried to run away, Schlosser said, but he was soon arrested and taken into custody with Davis. Davis and Shearer were then transferred to the custody of Washington County Sheriff’s deputies. Police said detectives determined the attack was premeditated after interviewing the suspects and the alleged victim. Police believe the suspects also took the man’s cell phone and wallet in order to destroy evidence and prevent him from notifying police. Investigators are looking into reports that Davis and Shearer used the stolen credit cards at the Walmart in Cedar City. The investigation is ongoing and, according to Washington County Sheriff’s Office, additional charges may be filed at a later date. There are also pending charges in Iron County, Schlosser said. Finding and apprehending the suspects quickly took total cooperation from sheriff’s deputies, Cedar City Police and SUU aviation for the air support, Schlosser said. “It was true teamwork and good police work,” Schlosser said. I am in total shock on this one. I know the young lady very well, and I never knew her to be anything but a sweet, happy young lady who had only respect for others. I feel for the parents of both of these suspects, and I hope that the families and the suspects can find a way to overcome the trauma caused by this ordeal. I also hope the victim will recover fully and be able to go on with his life in a positive way. My initial thought is, based upon experiences with family members, that the suspects are good people whose choices were clouded by the use of drugs. That would not, of course, change the fact that the two will have to answer for any crimes they committed as a result, but I have seen the results when people stop using drugs and become the wonderful individuals they were before the use of the drugs. I look forward to reading more about this so I can understand more fully what happened. Regardless of how the parents raised their children, they cannot receive all the praise for the child’s successes OR be responsible for a child’s failures in judgement or crimes committed later on. The crime and drug use in this area is pure socioeconomics. 45% of Washington County are considered to be living in poverty and now we are in a dangerous point of capitulation where you will see this turn into multigenerational and the so called elite and those that fancy themselves to be elite will not be relocating here. People tend to make good , positive, choices in life when they see opportunity for goals, creating goals, working hard, and enriching themselves and those aroudn them. The flat wage and repressed crony driven economy makes this a very dark place for those that aren’t blessed with money, financing for business, etc,.. Even families that aren’t broken essentially are as parents are working 2-3 jobs and kids are left to raise themselves. Washington County , read these headlines and just get used to them as there is more to come and the worst is yet to come. Thank your self righteous , pious leaders that sold you on endless growth, and shoved economic theory of any job being a good job down your throat. I get it we are affraid to call these people out because they are fellow members of our “dominant” local religion and we don’t want to be guilty of murmuring but ENOUGH is ENOUGH already… your churches will be empty if you don’t stand up and push for a better and more positive future. Keep smiling, Sasha. Barb and J’vonte in Cell Block D are ready and waitin’ for ya. Definitely more to this story. An attack like that sounds a lot more personal than a prostitution in exchange for drugs type of setup/trap. But it’s very likely drugs were involved here with at least one party. The story here is written in a very disjointed sort of way, probably because 100% of it is sourced from a police press release? I’m betting there is history between the supposed victim and the Davis woman. It also could have been a meth fueled setup and attack on a stranger, but the viciousness of it leads me to speculate that it was personal. And what’s the story with the “acquaintance”. Did this person just stand around gawking while all this was going down? That’s what it makes it seem like with an extreme limited release of info like this.